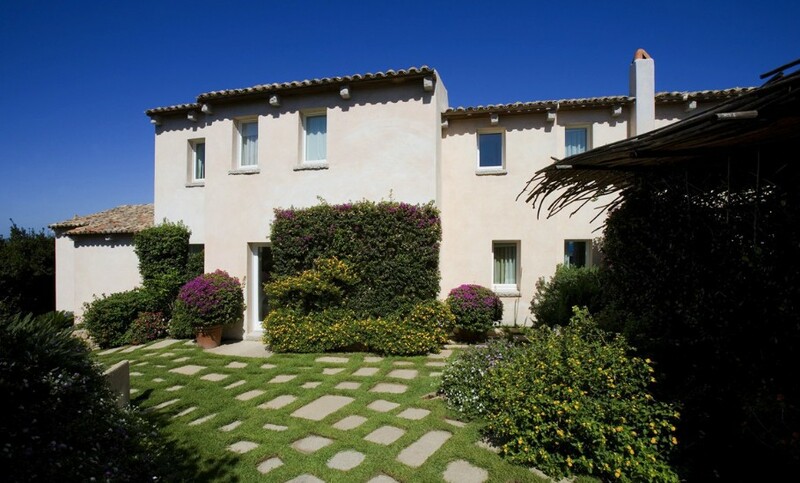 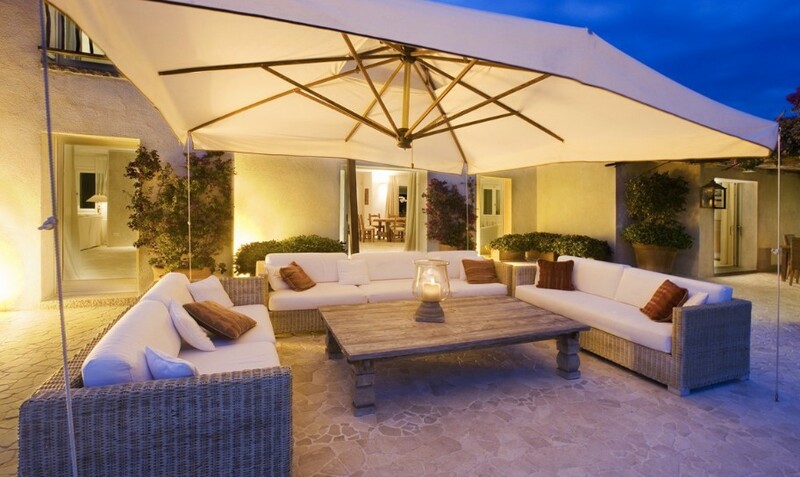 Villa is located on the beautiful hill of Miata in a community of twelve prestigious Villas. 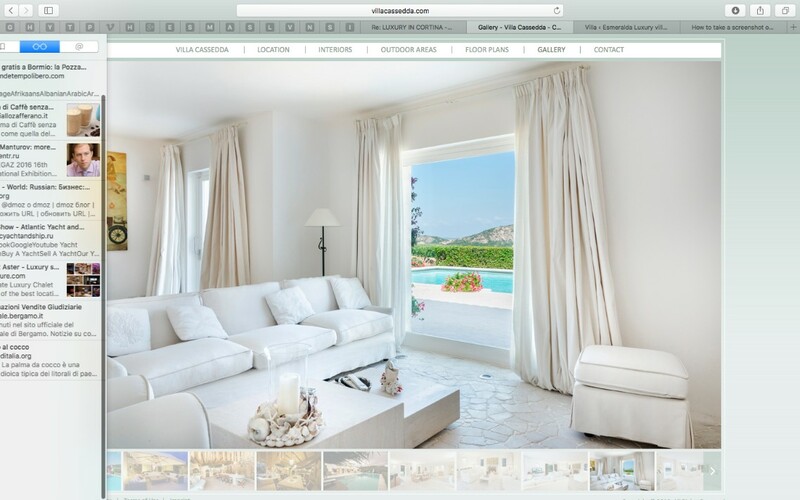 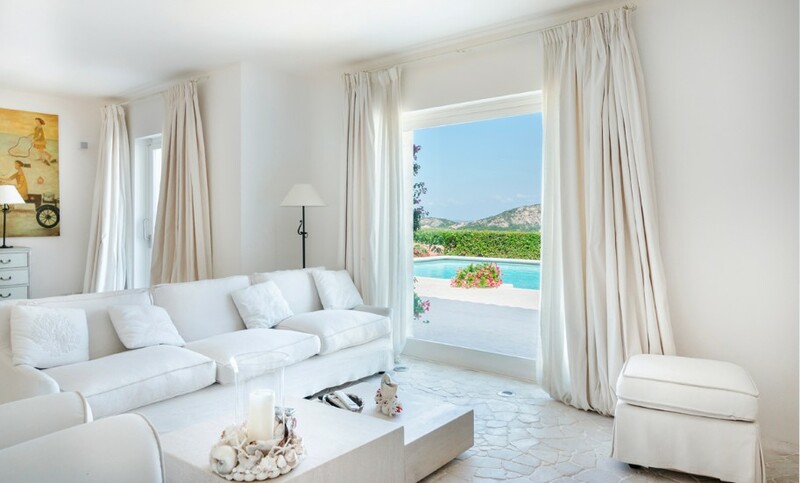 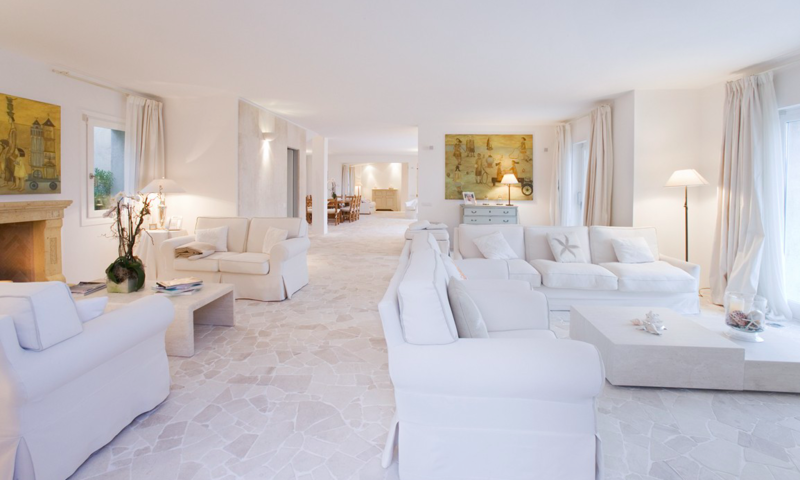 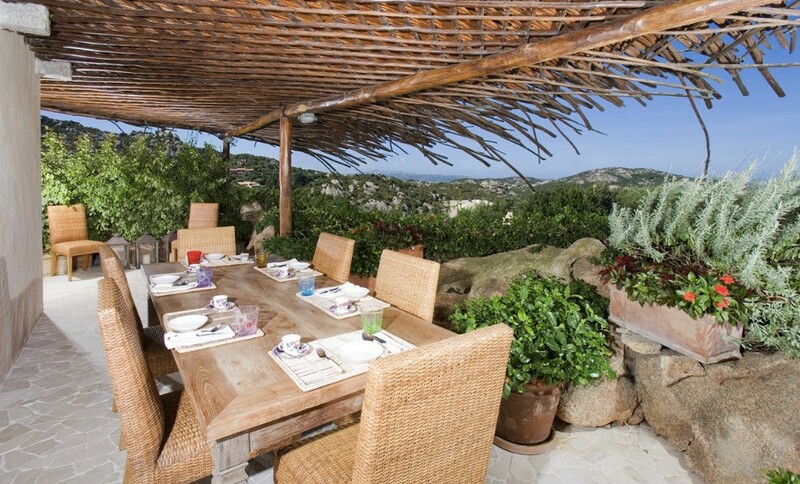 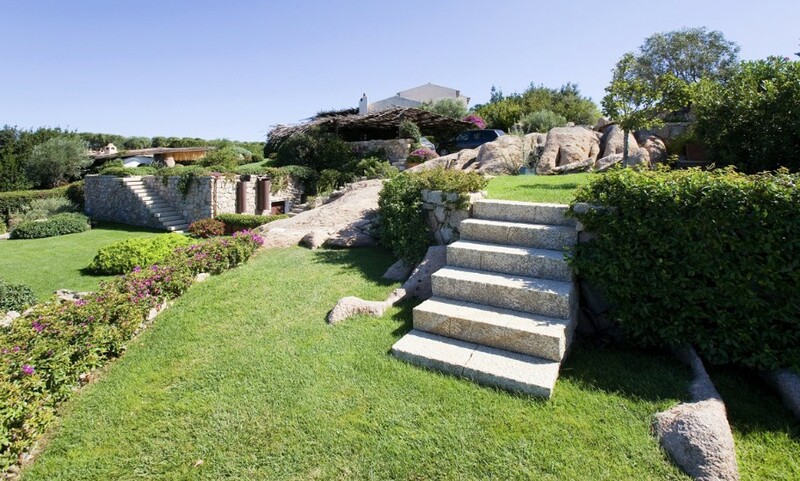 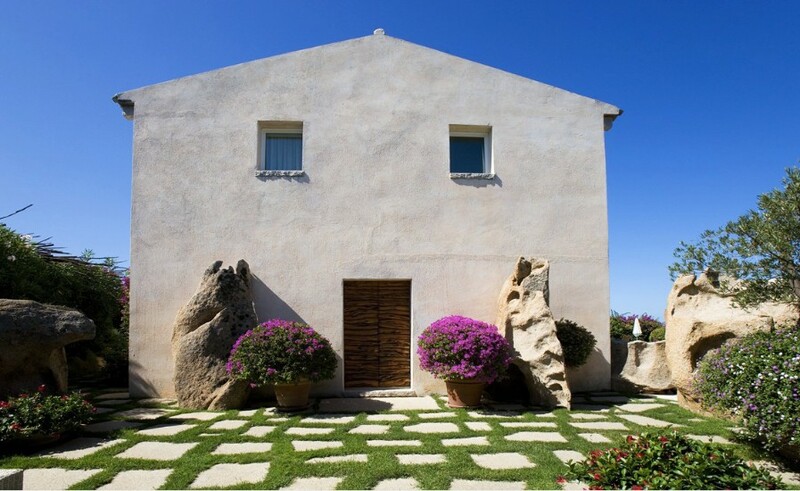 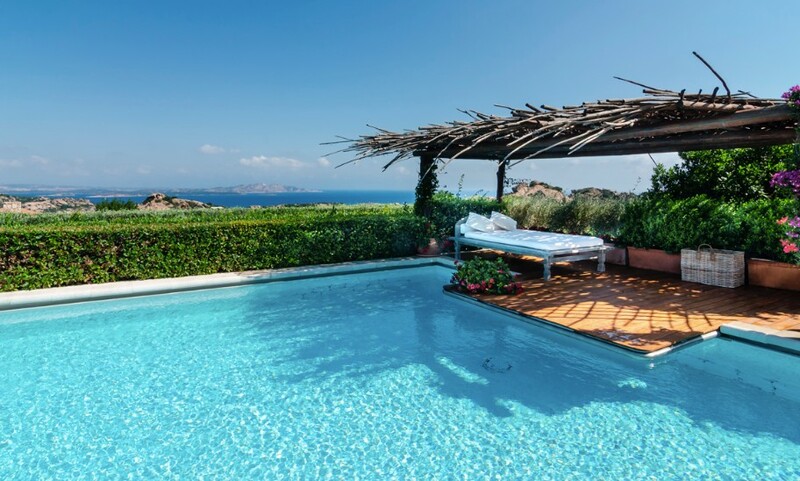 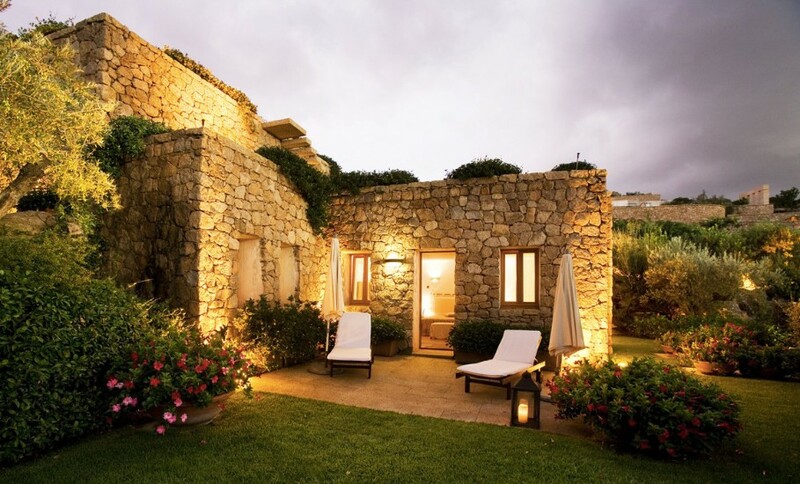 From its uphill location it faces the sea and overlooks the Archipelago of La Maddalena. 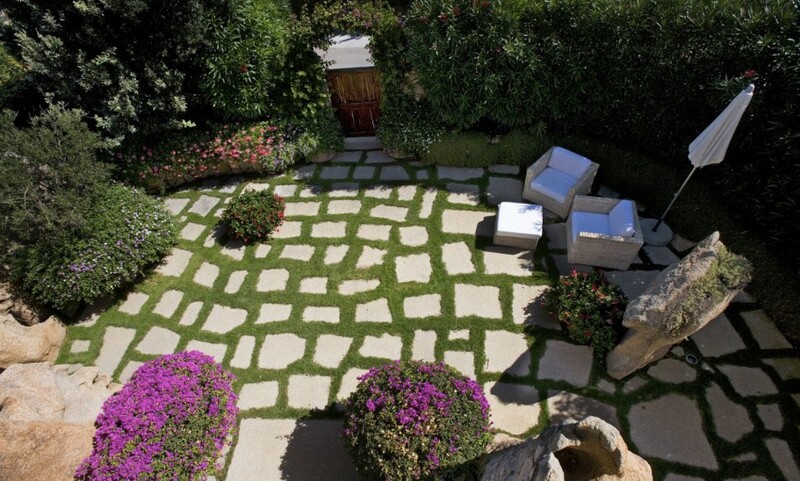 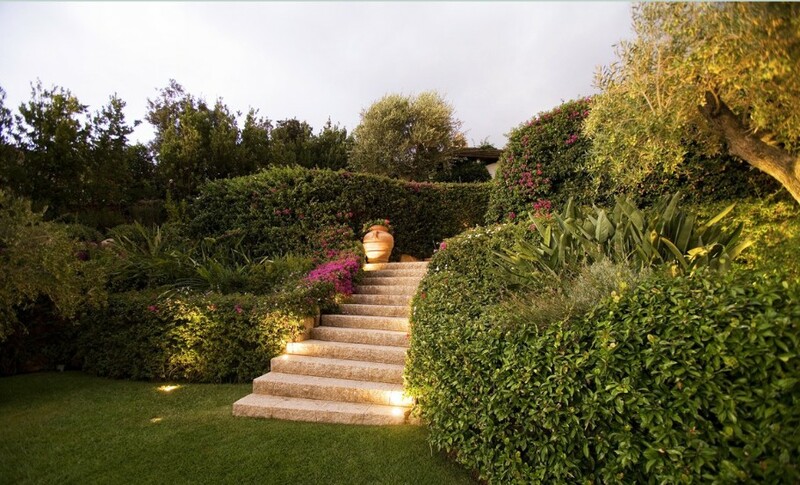 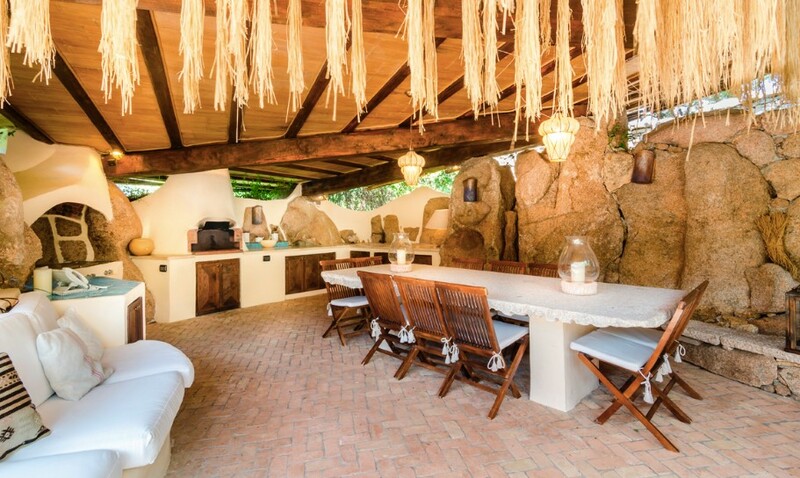 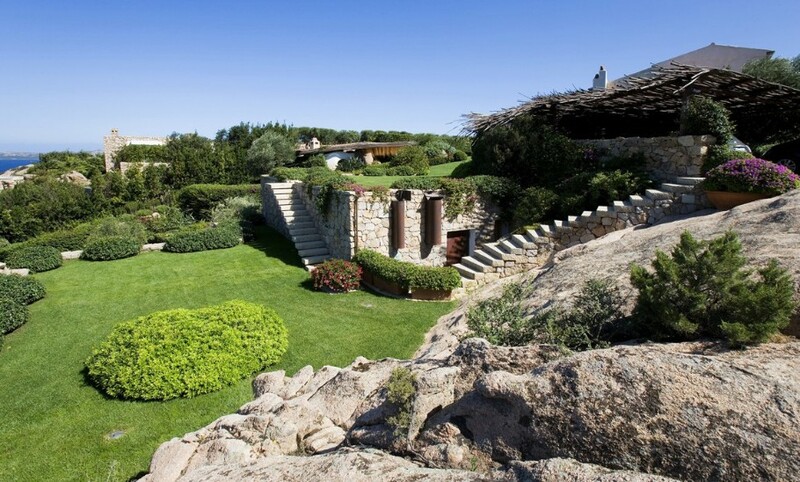 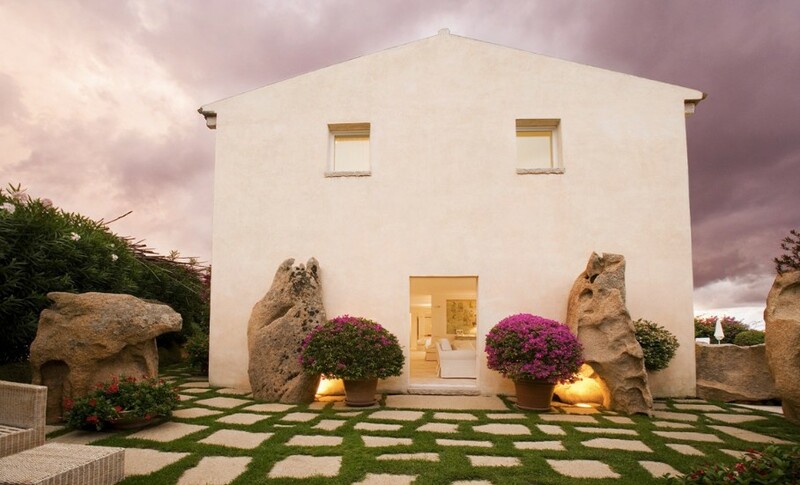 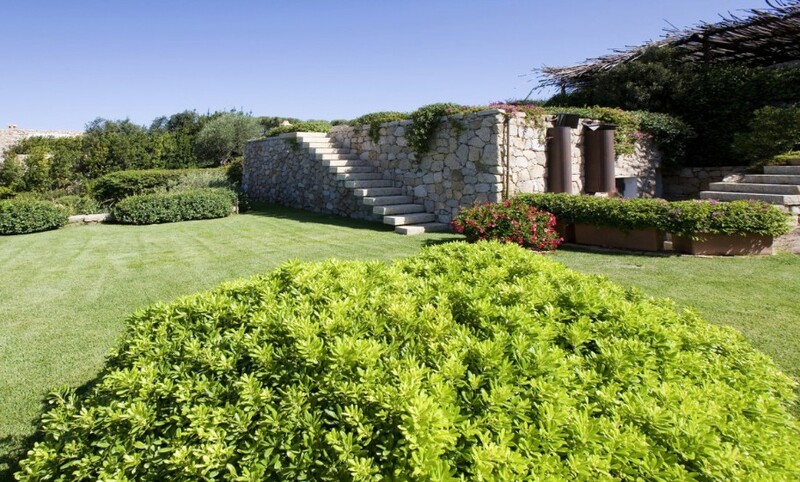 It is hidden in a 3000 sqm lush garden spreading on different levels and enjoys full privacy and harmony. 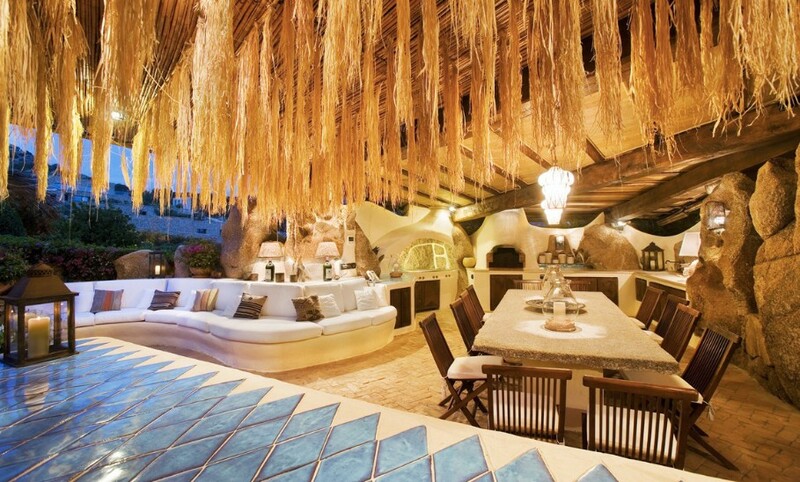 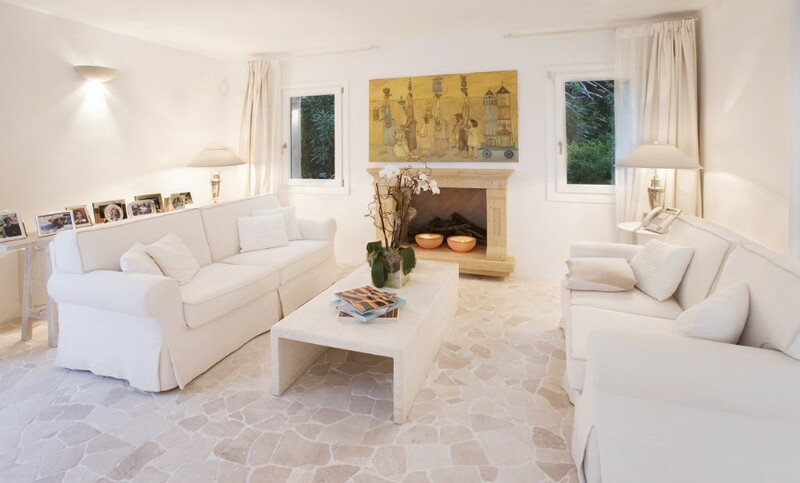 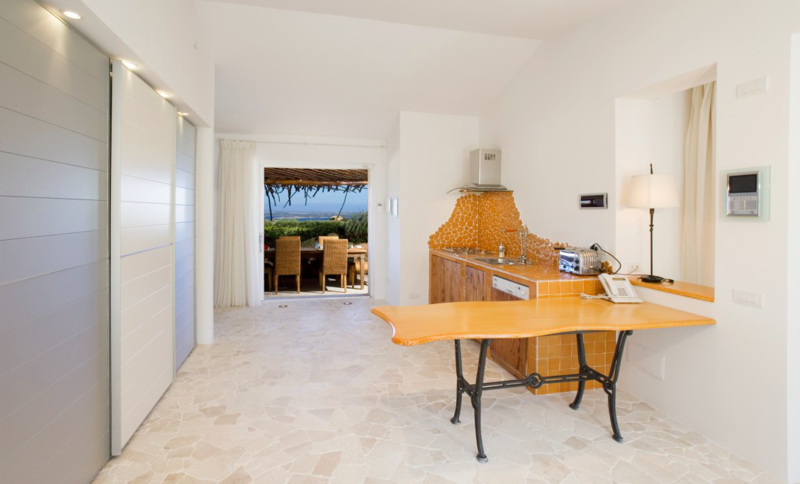 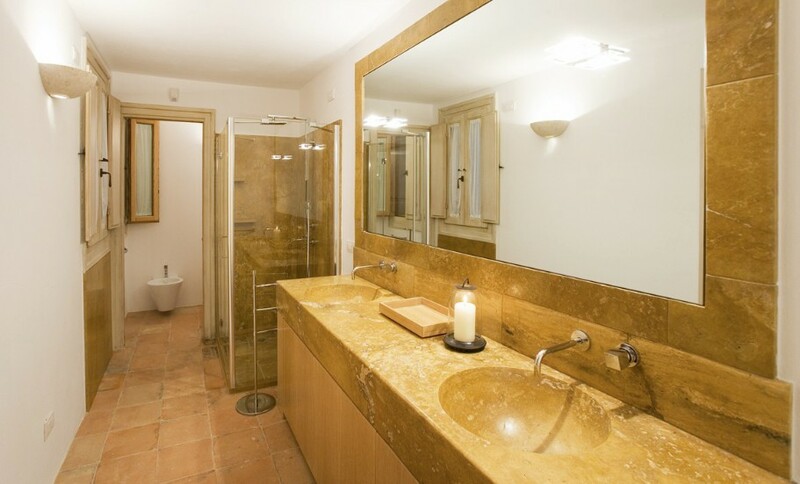 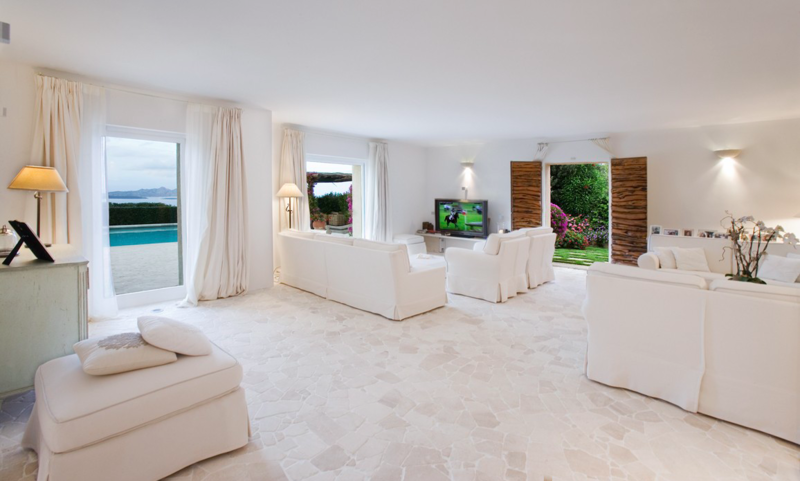 The villa is completely furnished and equipped according to the latest standards. 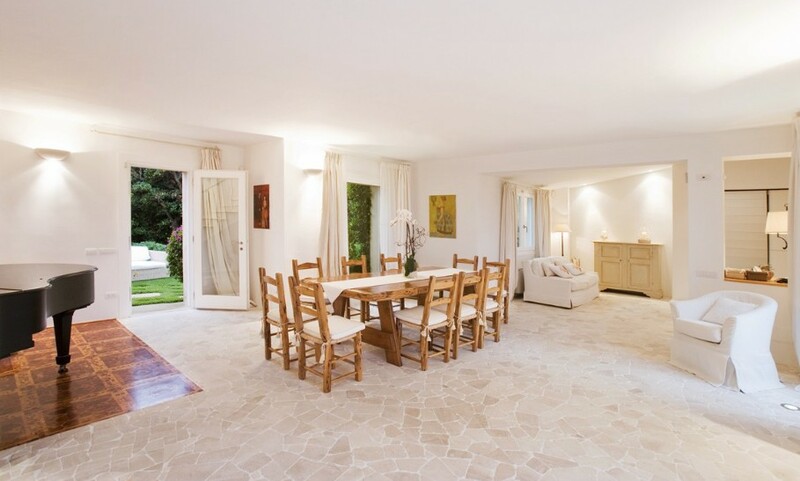 Elegant elements such as woods and natural stones emphasize the clear architecture and the minimised furnishing leaves plenty of living space whilst also giving off a cosy feeling. 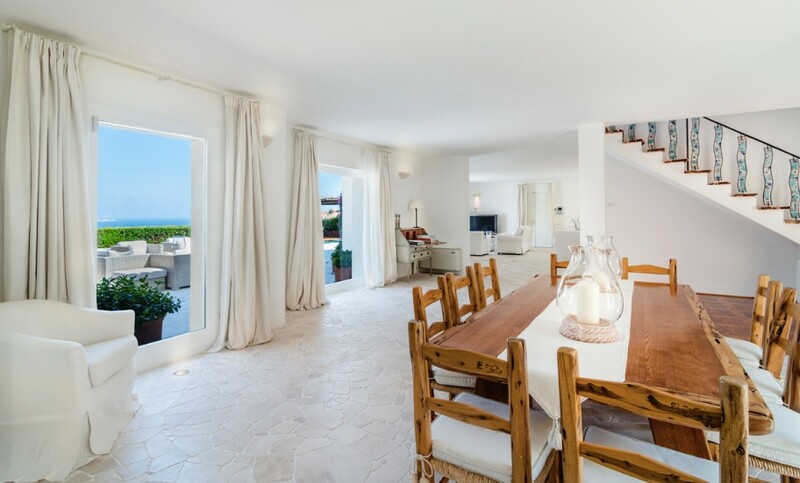 It offers over 600 sqm of living areas and can accommodate ten people in five ensuite bedrooms, four of which are located in the main house, one of which belonging to the adjacent annex. 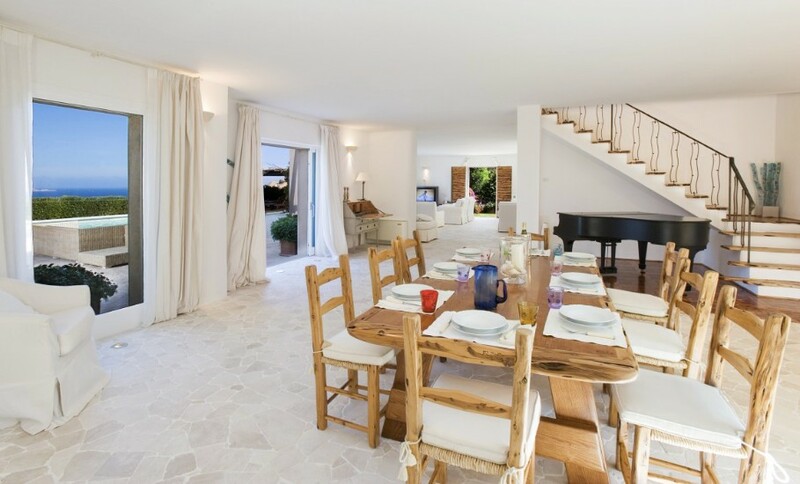 This luxurious property is also provided with a beautiful heated swimming pool of 12 mt, large terraces, fully equipped porch with seating for up to twelve people, barbecue area and distinctive boules court! 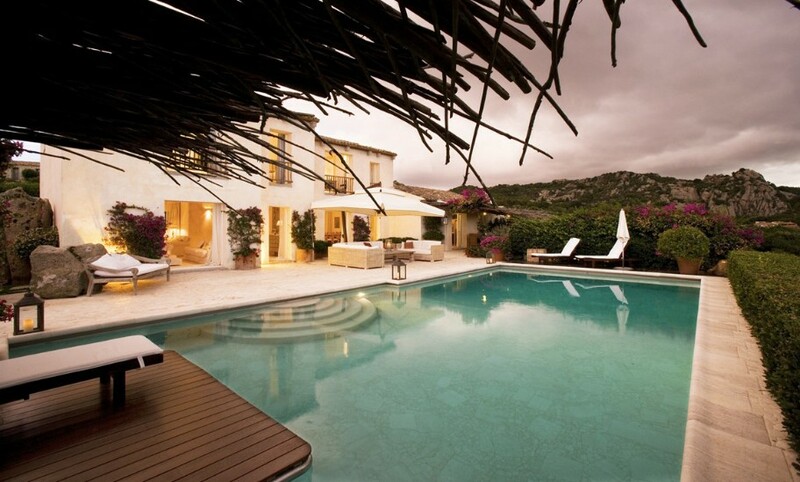 The villa is on two levels for the manor area, and the ground floor for the remainder. 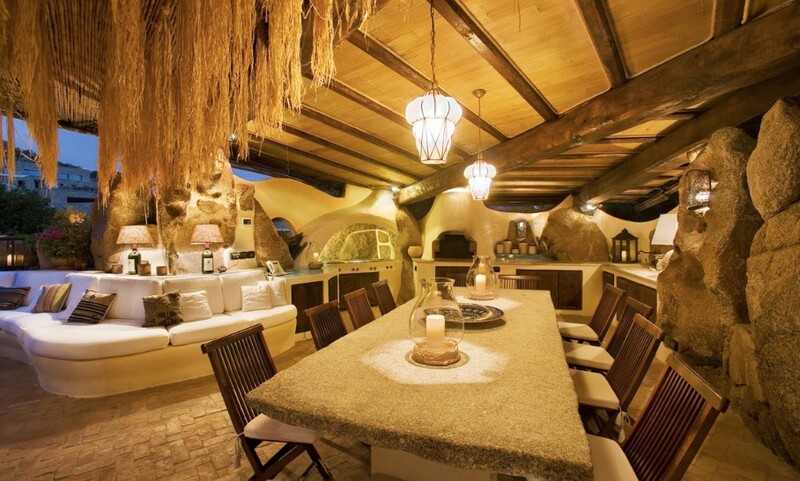 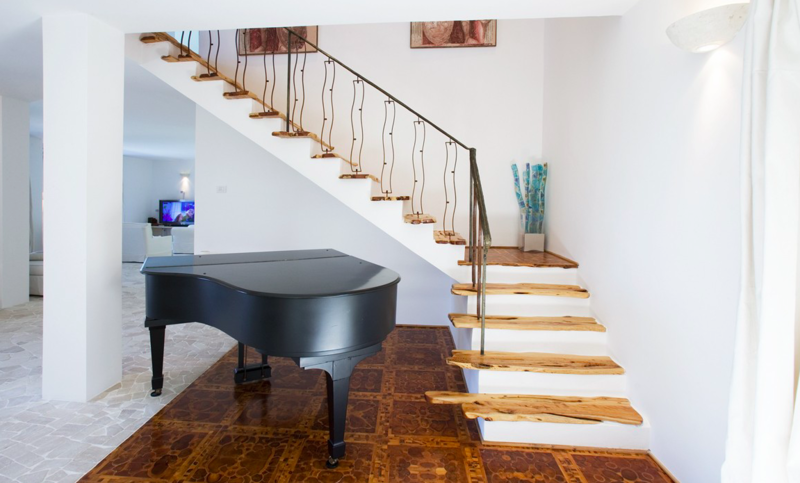 Open lounge with music room, dining room, kitchen. 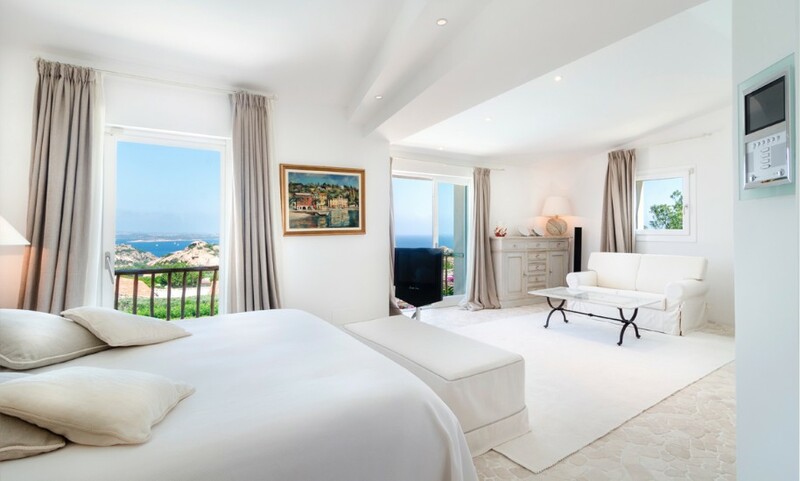 Four large bedrooms with sitting room, dressing room and bathroom. 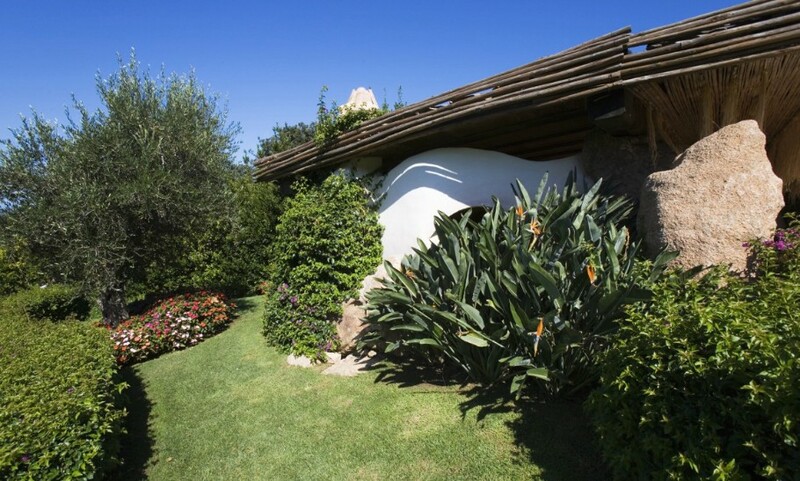 Adjacent to the manor area the annexe comprises a living room with kitchenette and bedroom with private bathroom. 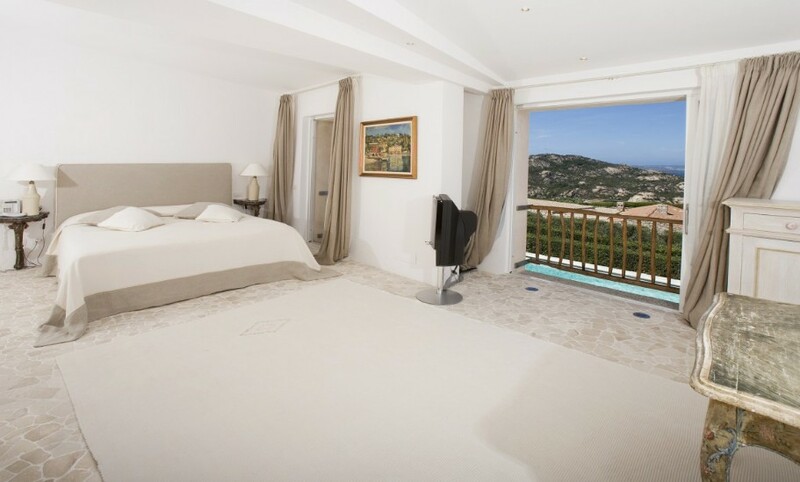 The Villa also has got a bedroom for the staff, a laundry room and cellar room. 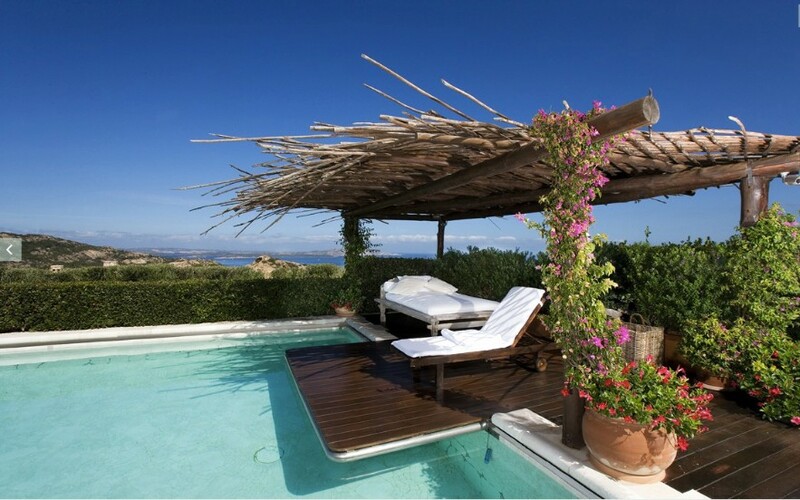 The pool is heated and the spacious outdoor verandas are furnished with sun beds, showers, chairs and loungers.